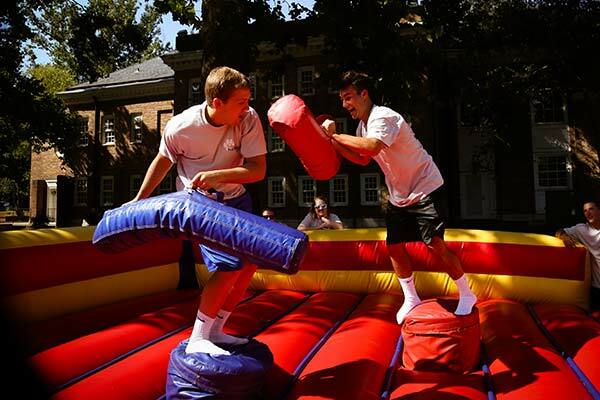 Bulldog Day is a day of fun in the sun for the new incoming class. 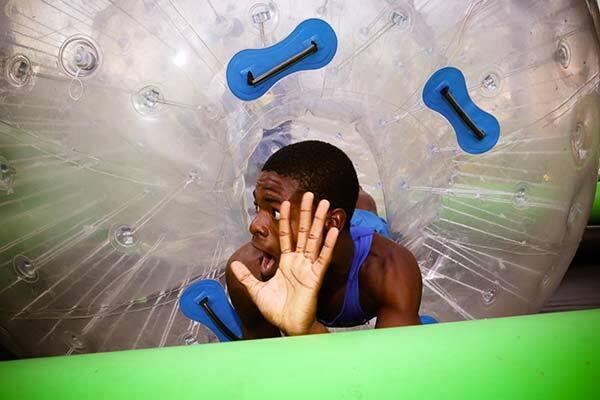 This day is packed with excitement from conquering the climbing wall to bonding through team-building events to splashing down a water slide and more! Students gather in groups according to their FYS classes to participate in the low-ropes course as well as the traditional "Painting of the Bulldogs." These bulldogs are later judged during Family Weekend, and the winning FYS class receives a pizza party! This fun-filled day is especially designed for incoming students to have a chance to relax and bond as a class before studies begin. 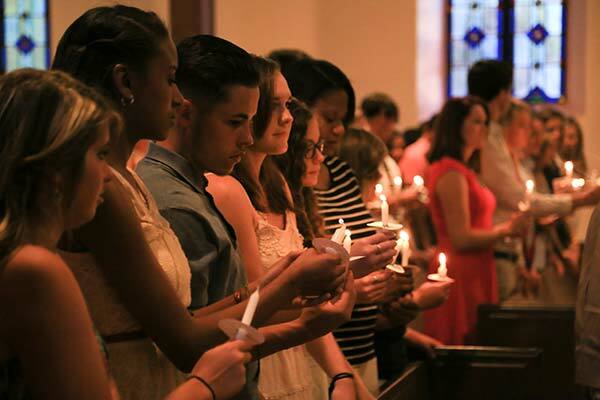 The Service of Induction and Naming is a time-honored tradition at Barton College that officially welcomes new students into the College community. During this evening service that includes freshman advisors and selected staff members, each new student’s name is called out in similar fashion to the announcing of each graduate during Commencement Exercises each spring. New students are also introduced to significant symbols and traditions of the College as well as its mission and vision. Students are expected to dress appropriately for this special event. Welcome Back Barton Day is Wilson's way of welcoming new students to the community, and also reminding returning students how good it is to have them back for fall semester. Held on the first day of classes, this popular event is co-sponsored by the Campus Activities Board and the Wilson Chamber of Commerce. 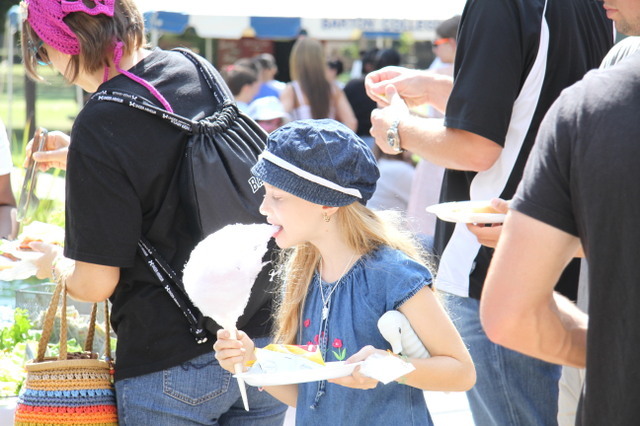 There’s bountiful food as well as freebies from restaurants, merchants, the movie theatre, and banks across the community. Students, faculty, staff, and community leaders also enjoy great tunes and exciting raffles throughout the event. It’s definitely a once-a-year event you don’t want to miss! Family Weekend is another time-honored tradition that is on the third weekend of September each year. By then, classes are well underway; and this provides the perfect opportunity to welcome families back to campus to meet their students’ new friends, their professors, and selected staff. The three-day weekend is filled with fun for the entire family including a candlelight dinner in Hamlin Dining Hall on Friday evening. Saturday events include breakfast; informational sessions with faculty and staff; and the day’s main event on center campus: a carnival with tons of activities, including game tables hosted by various clubs and organizations, and fun novelty booths with give-away items. And, don’t forget the great spread that campus dining services provide! There’s something for everyone. This is also the opportunity for families to vote on their favorite painted bulldog from Bulldog Day. There are men’s and women’s soccer games in the afternoon at the Barton College Athletic Complex. On Saturday evening, there’s an extravaganza with live music. 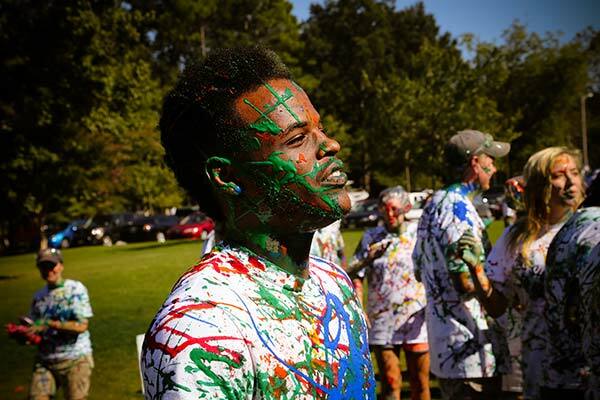 Paint Wars is one of the newest Barton College traditions. Students sign up to receive a white tee shirt and a bottle of paint that correlates with their academic class. Freshman, sophomores, juniors, seniors, and faculty compete against one another in teams to cover everyone in as much of their color paint as possible. The event is fast paced and exciting and raises funds for the United Way. Students and professors set aside books, and campus staff step away from desks for Barton’s annual Day of Service each October. Through participation in these one-day projects, Barton hopes to provide its students with a foundation for developing a deeper appreciation for service learning and a stronger sense of civic responsibility as they volunteer throughout the Wilson community. 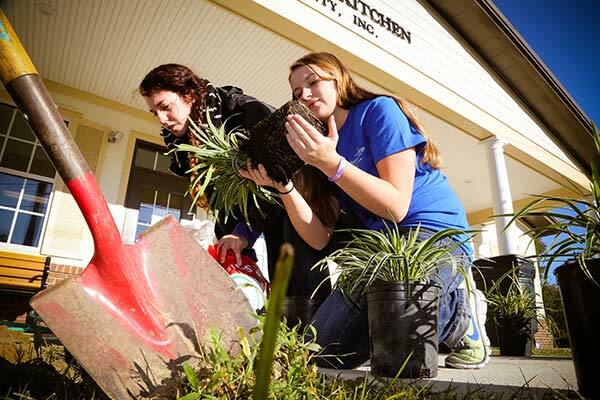 Developing a lifelong commitment to service is part of the "Barton Experience," and Barton College’s Day of Service provides an intentional opportunity for the campus community to give back to its hometown community. Local service projects have included working with Habitat for Humanity, the Wesley Shelter, Youth of Wilson, Wilson Parks and Recreation, the Arts Council of Wilson, the Boys and Girls Club/Salvation Army, First Christian Church, Imagination Station, New Hope Elementary School, Vick Elementary School, Margaret Hearne Elementary School, Preservation of Wilson, Eastern North Carolina School for the Deaf, YMCA, United Way, Wilson House Assisted Living, Community Soup Kitchen, Diversified Opportunities, The SPOT, Bridgestone Americas Nature Preserve, Hope Station, and Wilson Crisis Center, among others. Homecoming Weekend is held on the third weekend in October and provides a perfect time to welcome alumni and friends of the College to return for a fall celebration of traditions, reunions, soccer, volleyball, the highly competitive alumni Greek Games, and, of course, the Homecoming Dance. 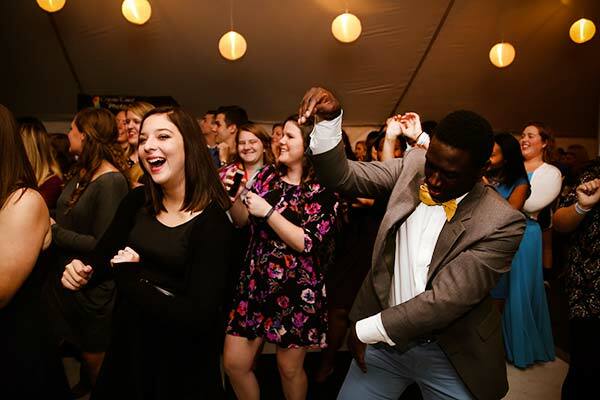 On Saturday evening, students and alumni alike gather under a large white tent on center campus to dance the night away to a great band. And, before the clock strikes midnight, a couple is crowned Homecoming King and Queen by the President and First Lady! It’s a weekend of Bulldog pride and special memories. 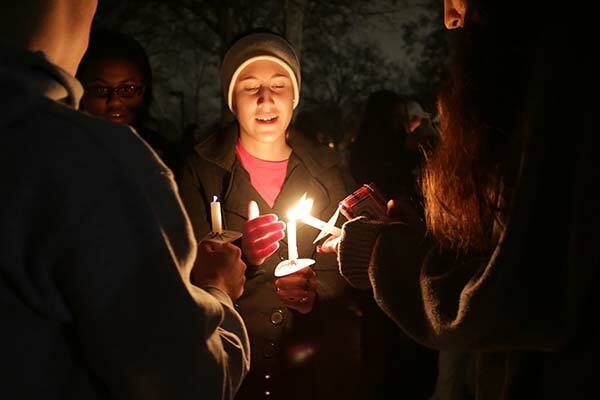 The Lighting of the Luminaries, a long-standing tradition for the Barton College community, ushers in the Christmas season each year for the campus community. The College family also invites the surrounding community to join them for this festive celebration. The evening begins with a candlelight dinner served in Hamlin Dining Hall, and then students begin lighting over 2,000 luminaries across the main campus. At 6 p.m., students, faculty, staff, alumni, and friends of the College, as well as members of the greater Wilson community gather on center campus for the annual blessing and lighting of the Christmas tree. Immediately following the blessing and lighting of the tree, participants move to Howard Chapel for a Christmas Program of Lessons and Carols featuring the Barton College Choir. This is truly one of the most beautiful events held on campus each year. Exam Breakfast happens every semester on Reading Day (the day after regular classes end and before exams begin). At 10 p.m., all Barton students are invited to Hamlin Dining Hall where Barton College faculty and staff are waiting to serve them breakfast! For free! This is always a favorite event among Barton students. The Campus Activities Board also gives away lots of door prizes, including movie posters, movie tickets, gift cards, and much more! Greek Week is held during spring semester and is dedicated to promoting Greek unity on campus. The sororities and fraternities plan a host of events throughout the week, including: chariot races, trivia competitions, relay races, and the main event: tug-of-war! There is lively, good-spirited competition for the participants and great fun for spectators as they root for friends. Each spring, Campus Activities Board (CAB) sponsors a campus wide Glow-in-the-Dark Egg Hunt. Hundreds of plastic eggs filled with candy and prizes are spread around campus while eager students line up in the Hamlin Student Center. When the hunt begins, students race to find candy, tee shirt vouchers, and cash prizes on a glowing center campus! Greek Show is an amazing evening of entertainment provided by the Greek sororities and fraternities each spring semester. All Greek organizations plan and practice for most of spring semester in preparation for this special Friday evening event. Each group’s program provides great songs and dance, as well as some memorable comedic moments! A popular event for all students, the entire campus community looks forward to this annual tradition. Friends, families, and alumni return each year to cheer for their favorite groups! This is Barton’s version of The Oscars, a special evening devoted to honoring campus leaders with recognitions and awards for all the hard work they accomplished during the past year. The coveted President’s Trophy is awarded to the club or organization that has participated in the most college-sponsored events. Individual clubs and organizations also present awards to their respective members. This is a much-anticipated evening of celebration each spring. This is Barton’s end-of-the-year party! The weekend prior to exams each spring is the perfect time to take a break from studies and just relax! Join other students on center campus for a day of fun, laughter, food, and music. Activities in the past have included human bowling, bungee trampoline, mechanical bull riding, and much more! And, don’t forget the giveaways, the senior superlatives, popcorn, cotton candy, tons of carnival-style food, inflatables, and a DJ. It’s your day to kick back and have some fun!